The head of the Union of British Columbia Indian Chiefs is challenging Alberta Premier Rachel Notley on the Kinder Morgan Trans Mountain pipeline expansion, saying comments she made in defence of the project earlier this week were "very reckless." The president of the Union of British Columbia Indian Chiefs is challenging Alberta Premier Rachel Notley on the building of the Kinder Morgan Trans Mountain pipeline expansion. 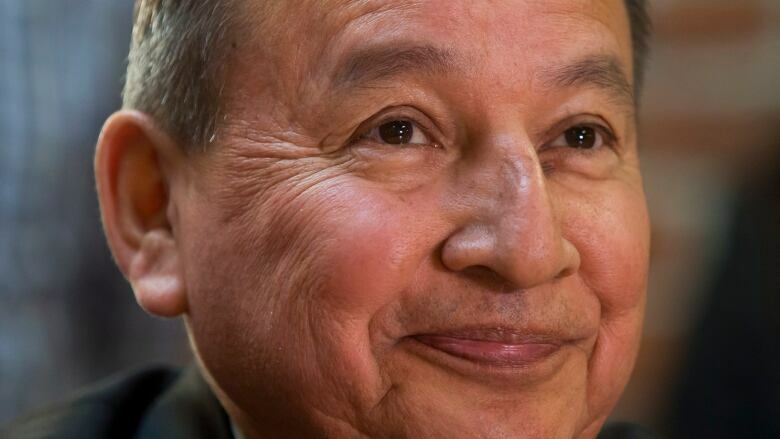 Grand Chief Stewart Phillip said comments by Notley, which she made at a news conference Tuesday in Edmonton, were "reckless." Notley was responding to questions about the pipeline project given the new political alliance formed between the B.C. Greens and the NDP. The two parties have vowed to put a stop to the project, which is already approved by the B.C. government. "She's speaking out one side of her mouth that they need to uphold and embrace the United Nations Declaration on the Rights of Indigenous Peoples, and then on the other hand completely rejecting the notion that we have the right to free, prior and informed consent to protect and defend the health, safety and well-being of our people and the environmental integrity of our respective territories," said Phillip. Squamish Nation Chief Ian Campbell, left, says he believes the risks of an oil spill are high and will threaten his community's ability to practise traditional customs. (Lisa Wilcox)The Squamish Nation, located in the Lower Mainland region of B.C., is opposed to the pipeline and disappointed by Notley's remarks. Squamish Chief Ian Campbell said Notley is forgetting to consider Indigenous rights on the issue. "I was very disheartened to see a public official in Canada using such offensive language that completely disregards Aboriginal rights and title," said Campbell. "Especially marking Canada's 150th birthday … we are supposedly in an era of reconciliation. We've never surrendered our title to our lands and waters and the right to manage our lands and waters in accordance to our laws and traditions. 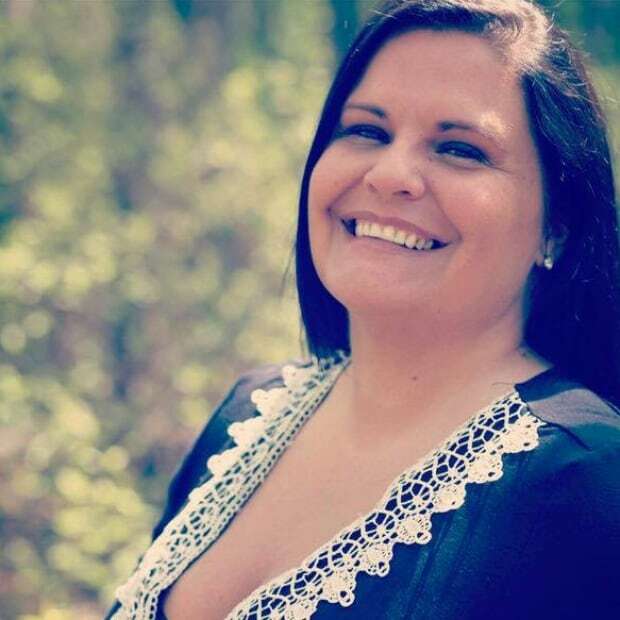 So seeing comments like that, to me, was completely setting back relationships between settlers represented by the Crown and First Nations relations." The main terminus and tank farms, where Alberta oil will be transported to foreign markets, is located in Squamish territory near Burnaby Mountain. Campbell said he believes the risks of a spill are high and will threaten their ability to practise traditional customs. "It's the willful destruction of the environment where we've seen nothing but a gold rush mentality upon arrival of Europeans to this part of the world, where they continue to claim our lands and waters under the sovereign Crown," he said. "It's by design, it's a colonial tactic. For us, we inherit the majority of risk because this is where the pipeline terminus is. Everything will occur here with ongoing cumulative impacts." In a statement posted on its website, Trans Mountain claims it has strong support of the project from Indigenous groups. It has signed 51 Mutual Benefit Agreements (MBA) with First Nations from Alberta and B.C. The Paul First Nation west of Edmonton signed an MBA with Kinder Morgan in 2015. The pipeline runs about four kilometres from the reserve border. Chief Arthur Bird said they have no objections to the project. "We have to support the development of the country and its economics, because the economics of the province affects all of us in one way or another," said Bird. The Paul First Nation is no stranger to environmental disaster. In 2005, a CN Rail train derailment saw 1.3 million litres of bunker oil and other substances spill into Wabamun Lake adjacent to the reserve. The cleanup took years. But Kinder Morgan officials have assured Bird that the latest pipeline technology is safe. The First Nation received an undisclosed amount of money upon signing the MBA and Bird said they're in talks to become equity partners in the project. Although the nation consulted with elders before signing the MBA, they felt there wasn't much choice due to a lack of resources, he said. "We don't have the resources to go and cross-examine them and say, 'No, you're wrong.' We don't have the engineers or the biologists to prove anybody wrong. We have to trust the people that are working for us in their dialogue with industry," said Bird. The Squamish along with the Tsleil-Waututh Nation and Coldwater Band in B.C. have filed court actions challenging the pipeline's approval. "We are going to use every opportunity to challenge this through legal means and other means necessary," Campbell said. "If Canada really wants to build relationships with First Nations and be responsible to reconciliation then this is an opportunity for us as Canadians to stand together." 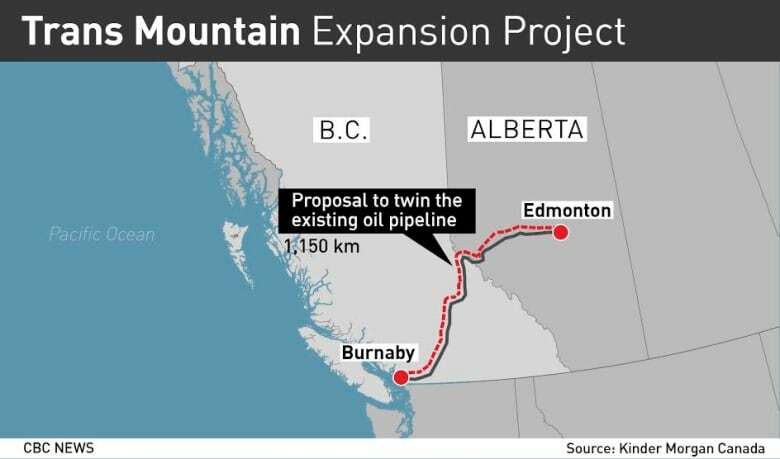 The 1,150-kilometre Trans Mountain pipeline currently pumps 300,000 barrels of Alberta oil to the B.C. coast per day. The expansion would see capacity increase to 890,000 barrels per day, its website says. 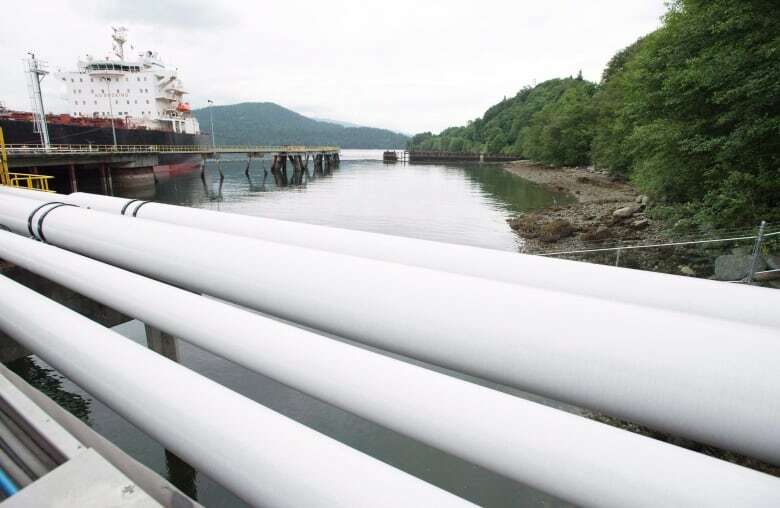 On Wednesday, Kinder Morgan Canada president Ian Anderson said construction is slated to begin this fall on the pipeline expansion, which has received the go-ahead from the National Energy Board and the Government of Canada, along with an environmental certificate from B.C.